All you need for your bonfire! 30" length keeps kids safely away from the fire. 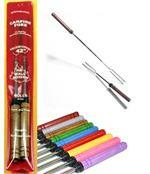 Child-friendly semi-tapered ends that easily poke into marshmallows or hot dogs, but are not sharp and pointy. 1/4" easy to grip diameter. Harvested in Maine USA and Europe - none from China. Quality inspected and packaged here at The Marshmallow Stick Company in Rangeley Maine. MYSTICAL FIRE: Toss an unopened packet of Mystical Fire powder into your campfire and you'll have a myriad of mystical magical colors for 10-20 minutes. Then add another packet to keep the colors going longer. Click on View More Images to see Mystical Fire in action. 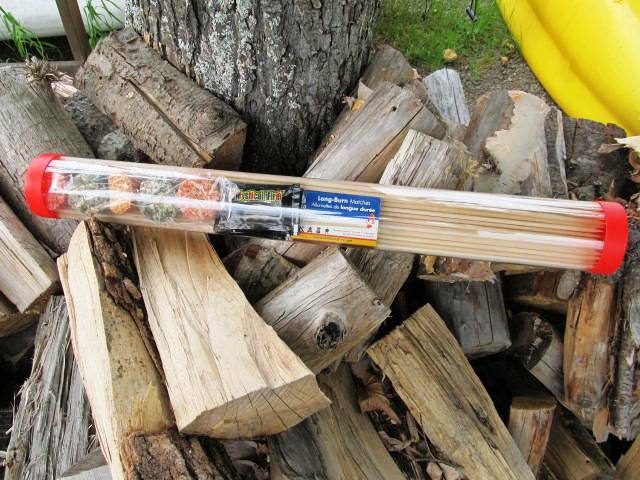 MAGIC FIRE STARTERS: Waterproof fire starters made of compressed wood shavings mixed with a small amount of colored, non-toxic wax. Made in Maine USA. They work like magic! LONG-BURN MATCHES: Safety matches that burn 5 times longer than regular matches; 45 seconds to 1 minute. Extra-long: 3-3/4".